The 2018 AGM will probably be held in mid- May 2019, with the exact date to be announced after Easter, possibly. The 2017 AGM was held on 5 February 2018, which means that there has been yet another failure to conform to regulations by those controlling this company. The Articles of Association say that there must not be more than 15 months between AGMs. So What's Really Going On Here Now? "When funds go through the portal, Jersey ADVISERS will ensure that the promoters are not INVOLVED IN MONEY LAUNDERING or have a REPUTATION FOR RECKLESSNESS. Everyone who operates here wants to make sure the island maintains its REPUTATION.	" Technical Director "Jersey Finance", run as a not-for-profit marketing organisation, was formed to represent and promote Jersey as an international financial centre of excellence and is funded by members of the local finance industry and the States of Jersey Government. Ablyazov "A dishonest scheme whereby Mr. Ablyazov sought to misappropriate monies which belonged to the bank,"
Seized by the Sheriff (the US Bailiff) to pay debts as a "flight risk"
"At its heart is the Jersey Way. More than that, it is, as the panel observed, expressly about the Jersey Way in its sinister, controlling, ‘protection of powerful interests and resistance to change, even when change is patently needed’ manifestation. There’s much in the report to support this contention, not least the focus on cover-up and the protection of the Island’s reputation. But the biggest obstacle to true reform and progress is that the Jersey Way is hard-wired into Jersey’s establishments". Without naming or penalising anyone, JFSC concluded that from 2011 to February 2017 the Board of NWOG had failed to meet its legal responsibilities regarding monitoring and reporting of suspicious share transactions that might be related to money laundering. NWOG was directed to hold an EGM to decide what to do next. This addressed the need for a change in status or a resumption of Exchange trading somewhere and concluded that a change of status was necessary. Shareholders approved the proposal to change the name of the company, agreed it should revert to a holding company and agreed to the initiation of a move to the British Virgin Islands. Shareholders will appreciate that advisors and directors appear to have failed to perform to the required standard of anti-money laundering processes until forced to do so by JFSC three months after de-listing from AIM. When thinking about NWOG and money laundering, shareholders should bear in mind the relationship between the Sztyk family and the Ablyazov Syndicate. What are the Board doing about the very dodgy deal with this gentleman? SO WHAT IS BEING DONE TO RECOVER COSTS AND DAMAGES? 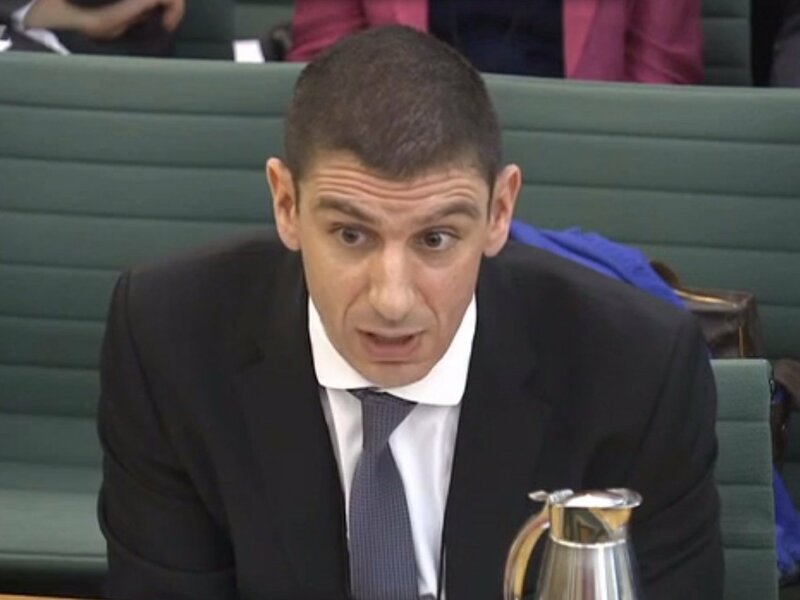 (and as you think about that, remember that James Pope, then of Cornhill Capital and whose name appears on the Apr/May 2015 RNSs, was contracted by the Board of Sosandar (who include the CEO and one ex-director of NWOG plus a director of Big Sofa). In July 2018 he was replaced by Shore Capital, the original brokers for New World Oil and Gas plc.